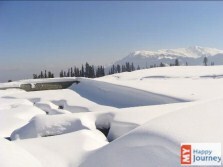 Gulmarg popularly known as “meadow of flowers” is one of the most beautiful hill resorts in Kashmir. This dazzling place welcomes you with its undiluted charm and pristine beauty. 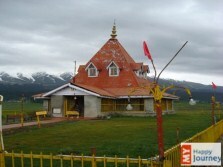 Kashmir with its incredible natural beauty is truly a paradise on the planet and this goes well when it comes to this silent and enchanting valley of Gulmarg. This beautiful destination with its snow clad mountains, exquisite panorama and magical meadows satiate your body, mind and soul. Apart from the serene natural beauty, different adventurous activities perfectly add to the fun and excitement when you visit this wonderful place. The prime location of this silent valley, proximity to Srinagar, stellar mountains, lush green surrounds, wondrous beauty and amazing weather makes the place one of the most beautiful holiday destinations for you and your loved ones. The hill resort’s pastoral scenes and summer windows are almost like a fantasy which soaks your spirit and leaves you spell bound. Engulfed with tranquil beauty and splendid attractions, this place boasts of a magnificent and gorgeous golf course as well, which is the worlds highest and attracts the tourists to spend joyous moments. Breathtaking views of snow clad mountains, aromatic and colorful flower gardens, lovely landscapes, serene lakes, enchanting valleys and a lot more- isn’t this absolutely perfect for a fabulous holiday. Plan a holiday to Gulmarg to explore the pristine beauty, quaint villages, gorgeous attractions, rolling hills and many adventurous activities to spend some rejuvenating and joyous moments with your loved ones. 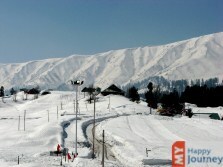 Whether it is a family holiday, adventure trip or a honeymoon vacation, Gulmarg has got everything to offer you. 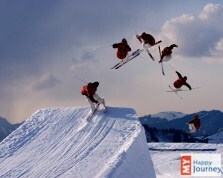 You can enjoy here the most thrilling and exciting adventure sports and the best of scenic beauty. 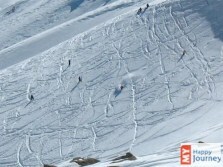 Besides, Gulmarg is also one of the most popular skiing resorts and offers marvelous sites for skiing. The place is beautifully sprinkled with beautiful flower valleys, encircling forests with beautiful conifers, lush green landscapes and offers exciting opportunities for the adventure sports enthusiasts and the naturalists. In winters this amazing valley is beautifully covered with snow and it seems to be a fairyland and thus the best time to visit this place is from December to March. So, come and explore this impeccable beauty and magical charm and gather some beautiful memories which you can cherish for the rest of your life.